Have you ever planned a move but when it comes to setting a date, you actually feel stuck? Well, you’re not alone. People often plan to move, find a new house, even contact a moving company to make inquiries about the rates, and inform their friends and family about the move. But when you ask when they’re actually moving, they’d simply shrug their shoulders and say they haven’t figured that part out yet. Others will simply state that they will move when they find the time to do so. And this is how you end up never moving. So, if you ever find yourself in this position, here are a few things that you will need to think about in order to arrive at the perfect moving date. What does your old lease agreement say? If you are renting, your landlord may require up to a month’s notice in order to put the house back on the market. A vacant house is basically every landlord’s nightmare. So if you need to move, make sure you go through your lease agreement in order to find any provisions for moving. Breaking a lease agreement has its own set of disadvantages, so you may want to do things by the book here. If it is an abrupt move where you must break the terms of your lease, be ready to pay the fines. This is always better than risking an embarrassing confrontation with an angry landlord. What about the new lease agreement? If you are moving into a rental, you also need to go through the new lease. The landlord always provides a timeline within which your new lace will be ready to be occupied. You really do not want to move out of your old home and find that the new place is not ready yet, or that the old renter has not even moved out. Always check the lease before you move. This will save you from the need to be in between living spaces, especially if you have a family to worry about. It can be really difficult to crash at a friend’s couch when it’s not just you involved. This is another tricky maneuver. If you are selling an old home and buying a new one, you need to pay attention to the dates. Selling your old home before you can move in to your new one may leave you without a place to stay. Also, buying that new house before you sell your old one could be a tricky business. Generally, consult with your real estate agent and find a suitable date to close both transactions within a reasonable time frame. This will ensure you always have a place to stay. 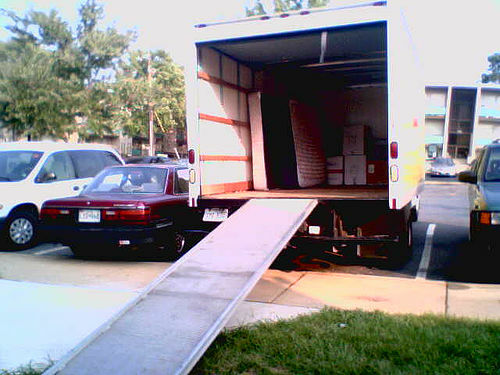 If you are moving because of a new job, your starting date will affect when you get to move. Here, you have to remember that you will need enough time to unpack and get used to your new surroundings before you start working. As for school dates, you can always help your children adjust to as a new school in the middle of the school year if you have to. It may be hard, but it is very possible. But you may have to convince them to agree to move the first since it can be emotionally devastating for them to leave all their friends and favorite teachers behind. Of course, regardless whether it’s for residential moving or commercial moving in Toronto, you’ll find it easier to plan everything around a set date. This will also help you with to manage duties such as packing and unpacking as well as arrange the hire of movers in an organized manner.